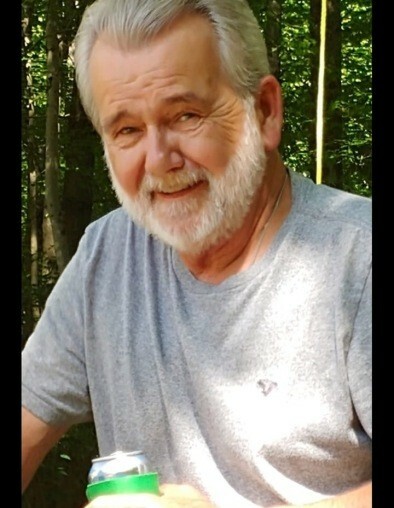 Eddie Rhodes, age 59, of Nebo, passed away peacefully Saturday, February 9, 2019 at his residence with his loving wife Kathleen by his side. A native of Guilford County, he was born on July 19, 1959, to the late Bill Rhodes and Dorothy Dehart Rhodes. Preceding Eddie in death is a brother Bobby Rhodes. Eddie enjoyed spending his time relaxing by going trout fishing. He will be remembered for his caring heart towards others and his honesty. Eddie was a devoted daddy who loved and cherished his children and grandchildren, who were his entire world. Eddie was a loving husband and will be missed by his friends and family that loved him dearly. Surviving Eddie are his wife, Kathleen Rhodes of the home; three children, Candyce Smith of Nebo, Brandon Rhodes of Marion, and Jason Rhodes and fiancé Jordan of Nebo; two sisters, Regina Thomas and husband Jackie of Nebo and Jolena Metcalf and husband Richard of Morganton; a brother, Davy Rhodes and wife Jan of Nebo; two grandchildren, Rivers Smith and Raegan Rhodes; a special friend Kim Rhodes, who is the mother of Brandon and Jason and numerous loving nieces and nephews. A celebration of life will be held on Wednesday, February 13, 2019 at 11:00 a.m. at Westmoreland Funeral Home in Marion with Rev. Bobby Dobson officiating. The family will receive friends from 10:00 – 11:00 a.m. prior to the service at the funeral home. In lieu of, memorials may be made to the Rhodes family at P.O. Box 247, Marion, NC, 28752.